Sometimes, the best performance in a movie doesn’t come from the star, but from one of the “other” actors, someone who takes what many would see as a “small role” and makes it their own, taking the opportunity to really demonstrate mastery of the craft of acting whatever the circumstances. Actresses in supporting roles make up the feminine world in which the leads move and interact, from mothers to sisters, from mistresses to rivals, from shop girls to heads of State, if a woman can do it, an actress can play it. And when they excel in their parts, whatever they may be, they can be honored after one hundred years with a Century Award. Louis Feuillade’s work “Les Vampires” has produced two outstanding female performances in supporting roles. First, Musidora in “The Red Cryptogram” appears as the villainous, almost androgynous Irma Vep, whose name is an anagram for a her sinister gang. Second, we also get consideration of a very different Frenchwoman in Delphine Renot (identified at imdb as Florense Simoni), who plays the hero’s mother, but proves to be a hero of her own as she engineers her own escape! Another strong mother appears in “The Lamb” in which Kate Toncray attempts to shield her son from the undignified results of his longing for adventure and toughness. 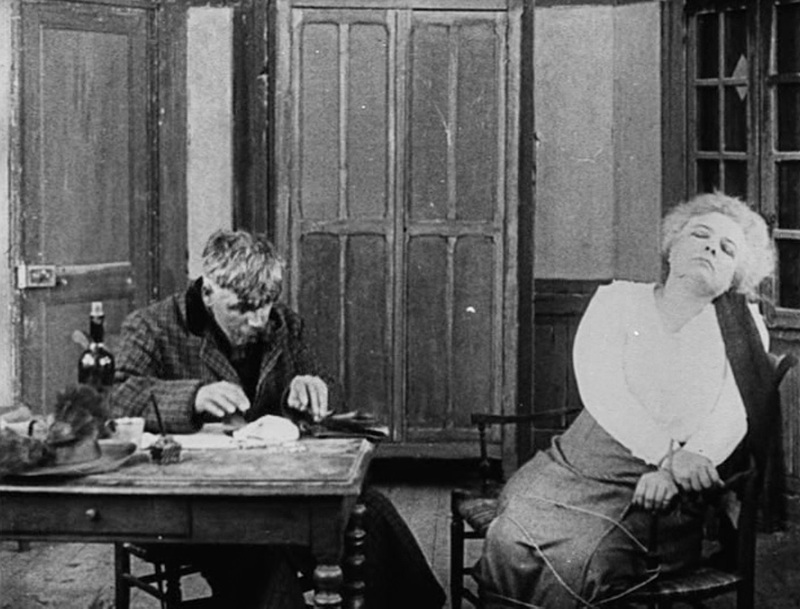 Marta Golden also is matriarch of her own house, one which is soon to be demolished by the antics of Charlie Chaplin in “Work,” but she shows her timing and ability along with his usual cohorts from Essanay. One more mother, Gertrude Claire, must walk a fine line in “The Coward” as her mother’s love for a son who has failed is put to the test when her husband also take up arms to save the family name. Despite the historical uncertainty about her identity, this role shone through this series as among its most fascinating parts. While we expect the male hero to take the risks and save the lives, here we see an older woman take on the role of super-sleuth and kill a man with a poisoned pen in order to escape from the dire clutches of a gang known as the Vampires. She gives us a different view of what the women of the teens could accomplish for themselves and thus walks away with the award.